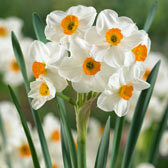 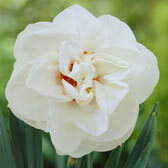 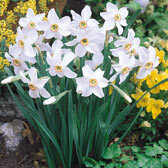 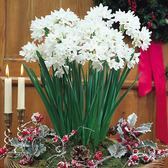 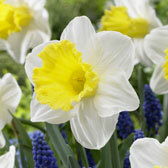 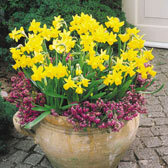 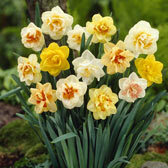 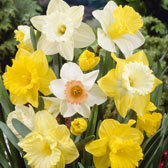 The Narcissi or Daffodil as is it more commonly known, is one of the most recognisable perennial bulbs in the British garden and has been for centuries. 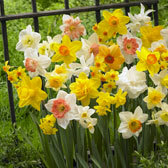 The joy that these simple to grow bulbs can bring is prominent in the poem entitled “I wandered lonely as a cloud” by William Wordsworth where he stumbled across "a host of golden Daffodils". 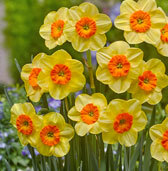 The sight of Daffodil flowers dancing adds thoughts of joy and pleasure to the poet and to millions of British gardeners to this day. 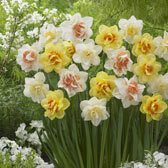 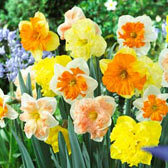 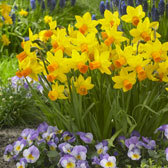 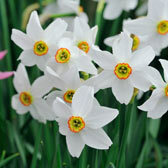 A huge range of premium Daffodil and Narcissi bulbs available to buy now and plant in autumn, for a superb spring show, ideal for borders, rockeries or pots on the patio.